Richmond Self Storage at 4031 Lakeside Dr. Located on Lakeside Dr. between Richmond Pkwy. and Hilltop Dr., Extra Space Storage serves residents of Richmond, Hilltop Village, Hilltop Green, Tara Hills, and Bayview-Montalvin. Locals will recognize our facility north of Hilltop Mall next to California Autism Foundation. We're also accessible for residents of nearby apartments, such as Heritage Park at Hilltop, San Marcos, Hilltop Commons Apartments, Baycliff Apartments, Bella Vista at Hilltop, Vue at 3600, and Westridge at Hilltop Apartments. 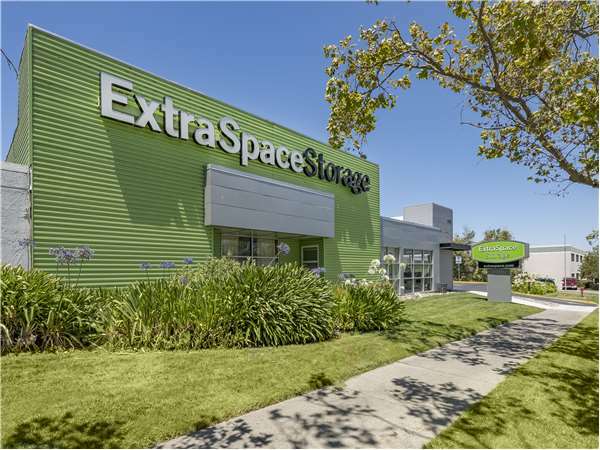 With a large selection of storage units and amenities like vehicle storage and drive-up access, Extra Space Storage on Lakeside Dr. is the self storage solution you need in Richmond! Storage units at our Lakeside Dr. facility are available in sizes 5x5 to 20x12. Units come with features like drive-up access, first-floor access, and elevator access to accommodate a wide range of storage needs. Drive-up units provide the ultimate convenience for those using commercial storage, vehicle storage, or storage while moving. This feature allows you to pull a vehicle into or up next to your unit to unload and load items. Units with drive-up access come in sizes 5x5 and 15x15. When you store with Extra Space Storage in Richmond, you can expect our facility to always be clean, secure, and well-maintained. Our friendly, professional staff is more than willing to help with whatever you need as well. Contact us today to reserve a storage unit at our Lakeside Dr. facility! Have used this facility before and am glad to use them again. This is a secure, clean, convenient place. Employees have been helpful and pleasant. Hours of access are just what I need as well. We have had nothing but amicable, professional service from every person connected with ExtraSpace Storage. The facilities and service are excellent. You would be hard-pressed to find a better solution to your storage needs. Great experience. Facility very clean and manager very helpful. Highly recommend. Great price, location, and customer service. Walter was really nice, knowledgeable, and friendly. Knew his storage space, described the contract in good detail, and made sure that the gate key worked and all information was correct before I left. Whole process took about 30 minutes. Very pleased. I’m am very pleased with the Extra Space Storage employee, he was very knowledgeable and helpful. I am also pleased with overall cleanliness of the facility. The employees are very friendly and willing to help in any way possible. I'm so glad that I store my belonging with Extra Space Storage. I had a great experience at the extraspace storage, Spacious and clean . Friendly employees, clean environment, easy access. Faciltiy is neat and clean. Storage unit is reasonably priced. Employees (Walter and Jerome) are welcoming and helpful. I would recommend this facility and use it again if needed. Extra Space staff are very professional in answering my questions to help me select the correct storage unit for my needs. great customer service. clean facility, low ceilings, sprinkler system issues to far into units area space. Great people to deal with and the cost was better than any other company I looked at. I really like the security that this facility offers as well. The site manager Saul is super friendly and professional. Finding the right unit for me was a breeze. The site itself is very clean and easy to navigate. I feel like I'm paying a little high for the unit but still am very happy and satisfied. Would definitely recommend this place. We are happy with storage. I will make recommendartion for others. I have used a number of different storage facilities and this is the top of the line as far as I am concerned. It is very clean, convenient, and the employees are very friendly. This is my go-to storage facility! I've used others and this is the best. Easy access. Superb and professional management team, always helpful and courteous. Clean and well-maintained facility. No security worries here. Convenient hours. Excellent value. Why go anywhere else? I am impressed with Extra Space Storage in Richmond. Very easy to access my storage, even when I chose to be on the first floor to save money, due to their elevators and rolling trollies. The facility is well lit so I never felt unsecure even late at night when I was not able to get there earlier. The hours are great too. I've been renting a unit at this location for over 10 years. They have always provided a clean and secure facility. It's easily accessible to renters. The times that I've had to contact the staff, they've been responsive and professional. Just pass the YMCA and Comcast Cable off Richmond Pkwy/Richmond Pkwy and Lakeside Dr.
Take I-80 and go west towards Oakland. Exit on Richmond Parkway and turn right. Stay on Richmond and continue until Lakeside Drive. Turn left on Lakeside. Extra Space Storage is located at 4031 Lakeside Drive. Take I-80 east toward Sacramento and exit on Richmond Parkway. Stay in center lane and continue straight until Lakeside Drive. Turn left on Lakeside and Extra Space Storage is located on the right hand side at 4031 Lakeside Drive. Take San Pablo Avenue going west and turn left on Richmond Parkway. Turn right on Lakeside Drive. Extra Space Storage is located on the right at 4031 Lakeside Drive.